Have you watched the 40 year old movie “Close Encounters of the 3rd type”? I have just watched it again yesterday evening and was awed at how a 40 year old movie can still be so amazingly wonderful and how “avant-guard” it was in its time. If you get a chance make sure you watch it, I guarantee that in the least of cases you will have a 1 and a half hour of fun entertainment! If you have seen it you will understand me when I say I am obsessed with “torus” or “toroidal” images. They come to me when I dream, when I am awake, when I meditate, when I drive, when I take a shower, just like the main character of the movie I receive a clear message. The message for me is a heightened amazing awareness that my emotions creating my torus at all times is powerful, just like my thoughts, my words and my actions are, in manifesting my reality. 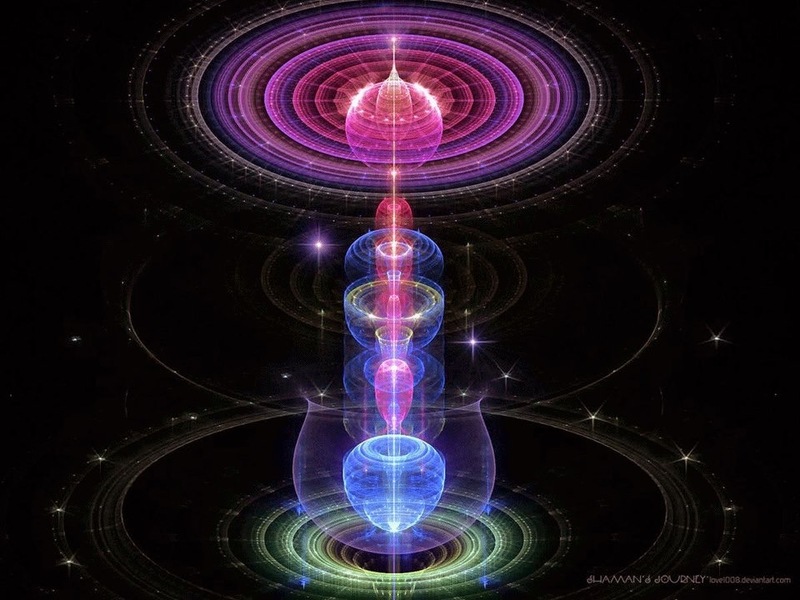 My energy is flowing at all times in a toroidal form and interconnecting and interweaving with the subtle and material world around me. So yes, in simple terms “manifesting” is the ability to convert the energy of our thoughts into a newly materialised form. And the way to learn how to manifest is to start small, with simple things.Begin with one intention at a time so you can learn how to manifest and create anything in your life. What are the 3 key things to start manifesting? The key is that manifestation works through the feeling side of the equation. You attract whatever you feel. So if you feel something different than what you are thinking you want to manifest with your mind, then it is your feeling that will be reflected back to you and not your thought. See how fundamental this is? If with your mind you are willing to manifest a lover but in your emotional side you are afraid to be alone, it is the aloneness that will be manifested. Ahhh…. So here is the first key. CLARITY. Clarity is number 1 so you must CLEAR the space and the intention. Clear your energy flow, clear it from any pollution created by the dysfunctions or disharmonies of your chakras and subtle bodies. This is why you can benefit from this mini-coaching program I am launching right now. It has 8 hours of powerful lessons to CLEAR away old limiting beliefs and 9 half hour visualisations to heal these energies and energy centres (chakras). The importance of manifesting from a clean and clear space is paramount. The second point is cultivating the FEELING. Being in touch with how it is you want to feel as if the manifestation is already present in your life. Having a clear focus and then detaching from how the outcome is going to happen is fundamental. Know what you want but don’t be focus on HOW you want to get it. As I wrote above, it is the feeling more than the thought what creates reality. So for example if you want to feel love and romance make sure you love yourself; if you want to manifest money, make sure you are respecting your money by paying your bills, honouring your debts and ALSO allowing yourself to enjoy the money by indulging when possible. Finally, nothing will be manifested if you just sit there willing for “it” to magically appear in your life. By being in alignment, by creating a clear space in your mind’s eye and heart, then the third key is that you must take inspired action to support the feeling. Find out how you can start to do this right now by Aligning your LIfe with your Soul & Purpose! Here is to your success manifesting. Don’t underestimate your power. Take action today and start by aligning your subtle bodies and clearing up old beliefs. Start Aligning your Life NOW!